Used Audi A6 Review - 2004-2011 Reliability, Common Problems | What Car? What should I look for in a used Audi A6 estate? Audi has traditionally high standards of assembly in its cabins, and the A6 Avant certainly doesn't let the side down. Appearances are backed up by reports from owners, too - the car performed well in JD Power customer satisfaction surveys, receiving praise for its interior and exterior build quality. The car is too new for us to have learned much about its reliability, but we expect the engines to be durable if they're serviced correctly. However, some owners have reported that the engines and transmissions were below par, and if previous A6 models are anything to go by, the latest model's suspension and brakes could be vulnerable to faults - and the subsequent repair bills would be big. It's essential to only buy a car that's completely free from signs of abuse and which comes with a full Audi service history. Looked after well, these cars can run and run. What are the most common problems with a used Audi A6 estate? 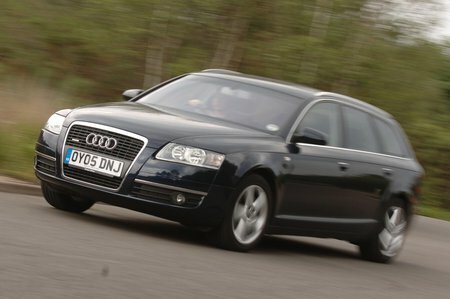 Is a used Audi A6 estate reliable?